It’s that time again folks. Dust off your swizzle sticks and sip a rhum for inspiration. Yessir… the Rhum Clement Ti’Punch Cup is open for action. Winning the regional heat ensures your ticket to Martinique to compete in the Global Final – which kinda feels like winning regardless of the eventual outcome. A week of exploring the beautiful island of Martinique, with the chance to win all the kudos of a Global Cocktail Competition thrown in. Mark your calendars folks! Old Fashioned Week (OFW) is back for 2017 and it’s bigger than ever! With 10 Ambassadors around the world, the reach is going to be awesome and we want YOU, whether you’re a bartender, bar owner or cocktail drinker to be a part of it. To make it easy for anyone visiting Carnival Expo this weekend (May 13th & 14th 2017) who wants to buy any of the featured brands on our Rum Education stand, I thought I’d help by pointing you in the direction of each on Master of Malt. Always worth shopping around though, because of as good as MoM prices are – they aren’t always the best! New Look, Same Great Rum! Ever since Groupe Bernard Hayot announced the acquisition of St Lucia Distillers, we’ve been awaiting signs of the new owner’s influence. In a reasonably informal chat before the recent Paris RhumFest, we found out that the team have been considering the huge number of expressions produced at SLD – whether to keep them on, to bring them into more of a family context and to even consider which of the local market only expressions (such as Bounty) might well be considered for export. We also heard about the packaging revision and so have been eagerly awaiting the first glimpse. I’m pleased to reveal we’ll be hosting our 10th Twitter Tasting on the 16th May, and we will be taking a closer look at some of the amazing produced at St Lucia Distillers. 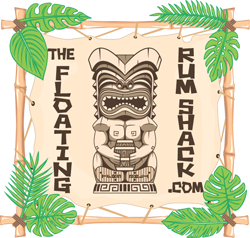 If you’re new to rum and want a helping hand, or perhaps you want to be challenged (in a nice way) and try things that you wouldn’t perhaps normally try. It could be that a subscription service might be what you’re looking for! Regular suggestions – an option to ‘opt out’ if you’re dead set against the next one (or perhaps you’ve already got it) – and lots more support besides. The la Confrérie du Rhum is a group of enthusiasts who regularly exchange on social networks around their common passion: rhum. A special vintage for la Confrérie du Rhum has been created every year since 2015 and this time it is the turn of Maison la Mauny. The Limited Edition 2005 vintage, has been matured for 11 years in French oak barrels and complies with the Martinique appellation d'origine controlee (A.O.C. ).